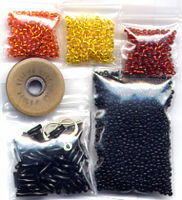 Beaded Orange Bugle Sweep Earring Pattern and Kit! 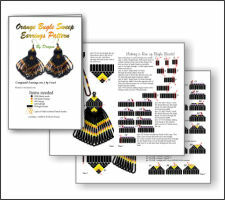 Make your own Orange Bugle Sweep Earring! 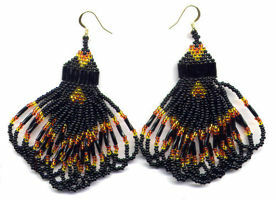 When completed these earrings are about 2 inch wide and 3 inches tall.